Well done to all of those who were nominated for awards at PAMIS presents ‘Grand Central Glitz’, and congratulations to everyone who received an award on the night! 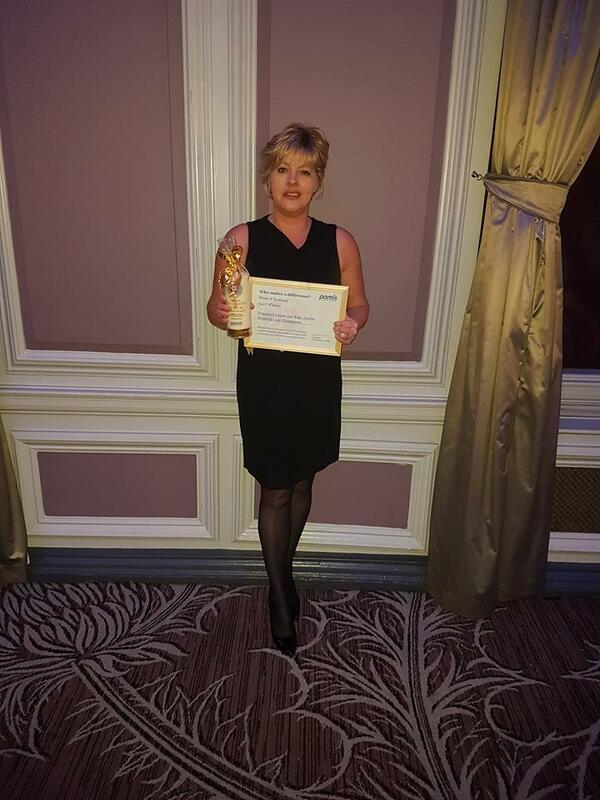 Winner of Who Makes a Difference for being a Postural Care Champion, Frances Cadzow. Frances is a carer and mum who has contributed so much to PAMIS and the area of postural care in particular. Frances has twin sons, Adam and Robert, who are 12 years old. 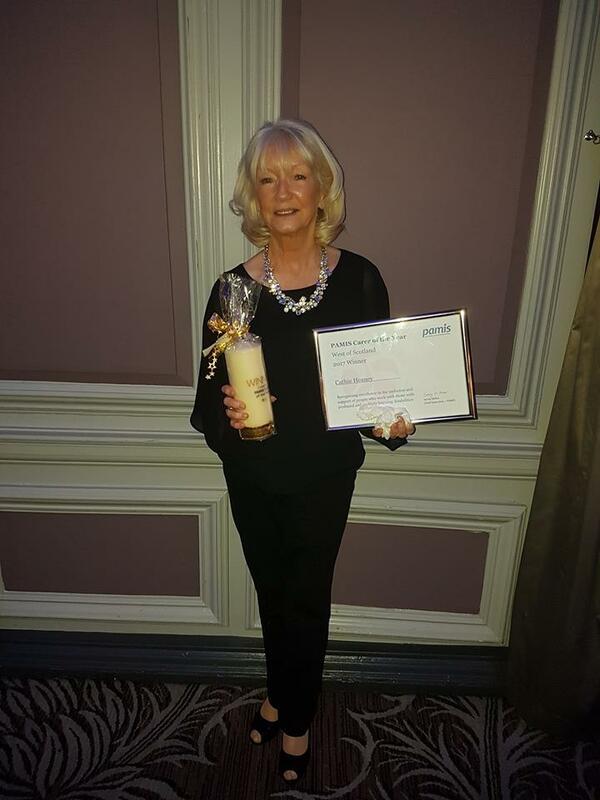 Due to Robert’s care needs, Frances started to attend PAMIS events when he was 4 years old and has continued to access workshops and leisure activities provided within South Lanarkshire. Frances is so keen to get the word out there about postural care that she has presented to preschool groups, a nursery group, NHS Lanarkshire paediatric and adult physios, an NHS Lanarkshire funding group and the Cerebral Palsy Integrated Pathway Scotland (CPIPS) AGM alongside some of our other carers. Thank you for everything you do, Frances! 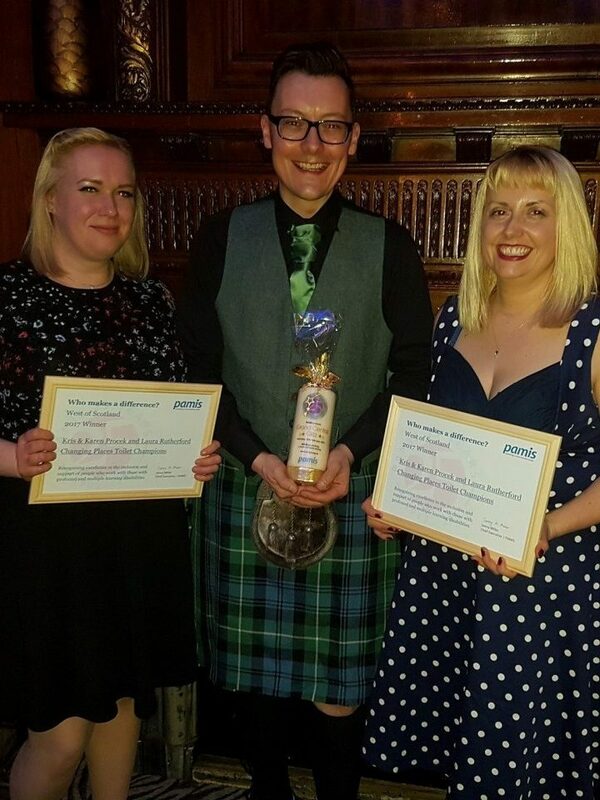 Winners of Who Makes a Difference for being CP toilet champions, Laura Rutherford, and Kris + Karen Procek. Laura is a blogger who writes for SWAN UK, Family Fund and SENDirect. She has also written for Huffington Post and The Mighty. Laura has 2 sons, Brody and Sydney. Brody has Global Developmental Day, Epilepsy, Autism, Hypotonia and Hypermobility Syndrome. Laura regularly writes about the lack of accessible facilities and campaigns to improve accessibility. Kris and Karen are parents to Logan and Rory. Rory, who is 5 years old, has a rare chromosome condition and requires access to Changing Places facilities. The family have struggled to find the appropriate facilities for Rory in public spaces and at outdoor events. Kris and Karen have both been working to spread awareness of Rory’s condition and have campaigned to improve the lack of accessible facilities. Thank you all for your campaigning work! Winners of Most Accessible Building/Business, The Usual Place is a café in Dumfries which was set up by the Inspired Community Enterprise Trust to create employability, training and wider citizenship opportunities for young adults with additional support needs. Their premises are fully wheelchair accessible and equipped with a Changing Places Toilet. Well done, The Usual Place! 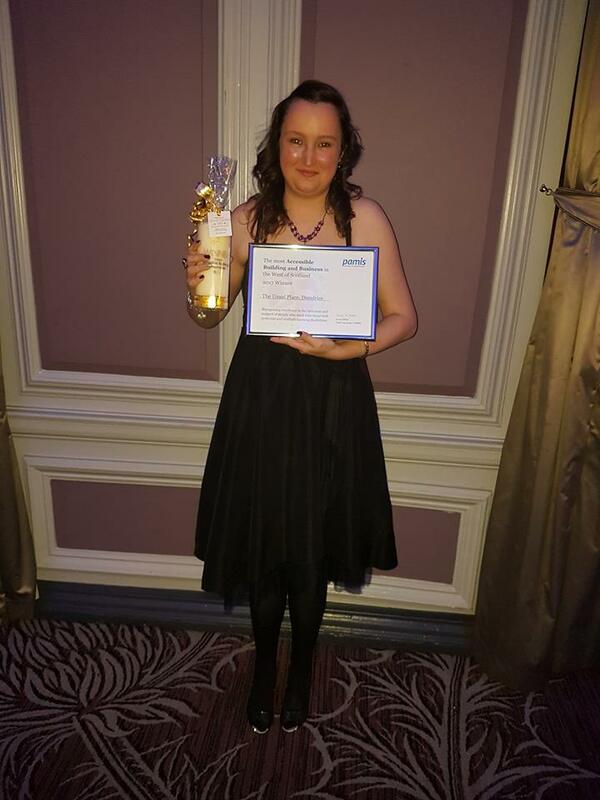 Winner of PAMIS Carer of the Year, Cathie Heaney lives in Glasgow with her son Edward, who is nearly 41 years old and has tuberous sclerosis and PMLD. Cathie has been actively involved with PAMIS since the service first started in Glasgow, about 20 years ago. She has represented PAMIS on the Users and Carers Network at Strathclyde University’s School of Social Work for several years, along with the PAMIS Glasgow Co-ordinator. She also currently works, together with another PAMIS parent, in the training of student learning disability nurses at Glasgow Caledonia University. Cathie has been a Committee Member and Treasurer of Southbrae Carers Centre for 20 years. Last year she took part in an NHS-funded DVD, talking about the hospital experiences of families with a relative with PMLD. She has also spoken about Edward and her care role at several conferences, and has taken part in two NHS QIS reviews. Well done, Cathie!